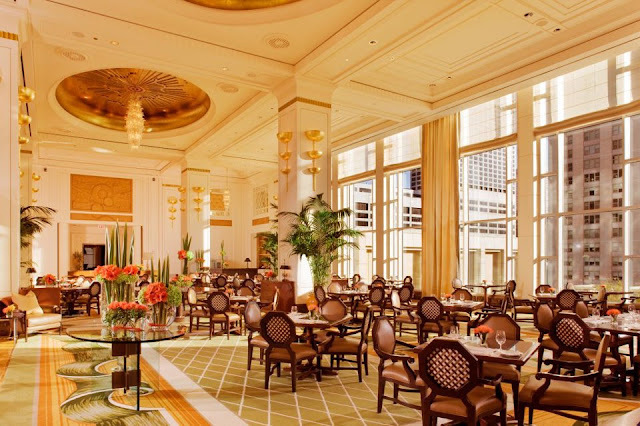 The latest stop on our hug tea tour brings us all the way to Chicago and inside the very elegant Peninsula Hotel. Traditional Afternoon Tea here is $42 and champagne tea (served with a glass of bubbly) is available for $55. A vegetarian, vegan and gluten-free tea are also available upon request. 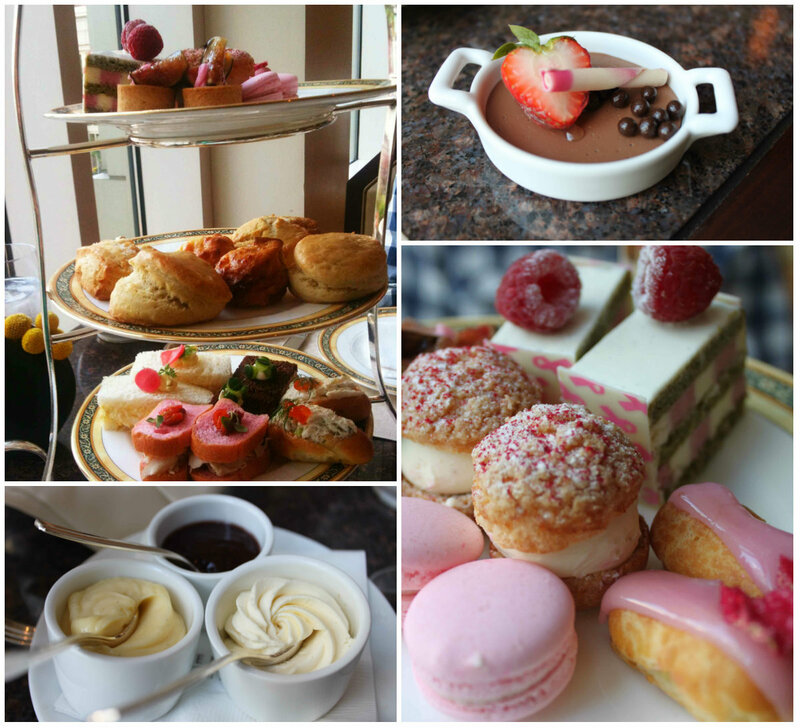 Since our visit occured in October, during breast cancer awareness month, we were treated to a very special pink-themed tea menu where $5 from each tea sold would be donated to charity. When our grand tea stand arrived, I beelined straight to the scones which were warm and soft on the inside and served with lemon curd, homemade jam and clotted cream. The desserts included pink macarons, eclairs, a chocolate pot de creme and a raspberry pistachio cake with pink ribbons airbushed onto a piece of white chocolate. The cake was an instant favourite with different textures and layers that I really appreciated. The sandwiches were all beautifully presented and the mini turkey sandwich with cranberry jam and arugula was dyed pink with beet juice to keep with the October breast cancer awareness theme. The egg salad sandwich featured chives, mayonnaise, pickled radish and chervil. The smoked salmon sandwich with dill cream cheese on pumpernickel, and a pickled cucumber was absolutely delectable. The showstopper however was the crab roll - an afternoon tea first! Such a unique sandwich, I could've eaten three. Big hearty chunks of crab are mixed with mayo and dill before its placed in a soft roll and accented with orange spheres of salmon caviar. Wow. The loose-leaf tea menu includes selections that are proprietary blends for The Peninsula Hotel and I definitely recommend you go for something unique from this side of the menu. I chose the Black Lychee Tea from China which had a nice subtle fruit flavour. I didn't add any milk or sugar so I could really enjoy the taste. 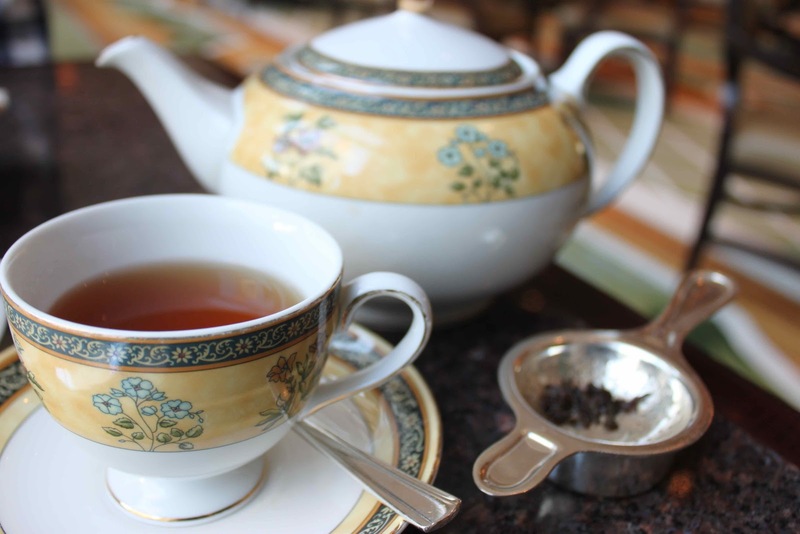 You can choose from a very large selection of black, green, white, oolong, herbal and scented black teas. Tea is served in the bright and elegant lobby lounge (above), complete with a string duo or quartet on the mezzanine level who play classical covers of modern hits! It's sooo very unexpected but a fun surprise from The Peninsula Chicago. They have a great sense of humour and the hotel doesn't take itself too seriously. 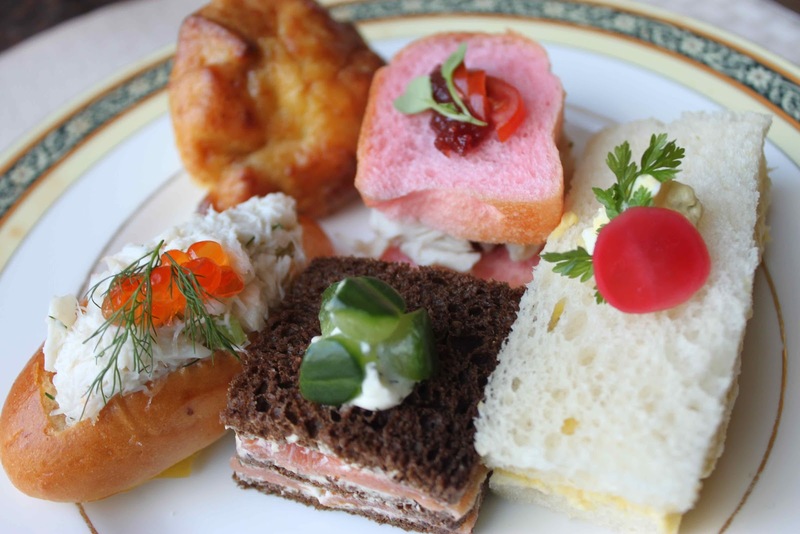 Make sure to visit The Peninsula Hotel for afternoon tea, next time you're in Chicago (it's served daily) - it's a great way to experience the hotel if you can't book a stay. It's located right off Mag Mile and a memorable way to end a day of shopping. I've been to a few places for high tea but this place looks like it will top them all. What they offer is so different than what is usually offered. I must add this to my resto bucket list.